ReachUC brings the power of your PBX to your mobile devices and desktop. Our mobile ReachUC is just like using your mobile phone. Incoming voice and video calls will appear on your device lock screen just like a mobile call. 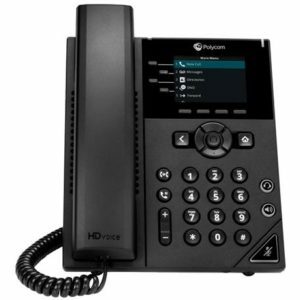 ReachUC allows users to interact with the PBX through an intuitive and familiar interface. The keypad scree offers easy access to make a call, check voicemail, view phone contacts, send and receive SMS messages, faxes view call history and view PBX advanced features. While on a call, users have numerous call handling options including Record, Hold. Blind Transfer, Attended Transfer, and Join Conference. ReachUC has flexible and powerful messaging features. It can send and receive SMS messages from a business phone line so that users need not divulge personal cell phone numbers. It also allows intra-company messaging with any PBX contact. True Unified Communications, our mobile app allows you to choose what type of call you want to make with a single tap. You choose VoIP Call, Video Call, GSM Call or Callback. The Callback option is especially useful if you want to make a call through the PBX but do not have a strong data signal. Video Calling, The video calling option allows users to make a video call to any PBX contact that also has video capabilities. Zero Touch Configuration, To use ReachUC simply log-in with the credentials from your PBX portal. That’s all there is to it. All the features that you are accustomed to will be pre-configured and ready for you. Real Time Presence, ReachUC presence panel shows you the status of other PBX users-Available, Busy or Offline-in real time. ReachUC works on Android, iPhone Pc and MAC download Reach UC here and get ready to live the Mobile Life.